With iPhone 5S release date coming closer, the most heated question these days is “should I wait for iPhone 5S or just buy the iPhone 5″. The question got more serious in last few weeks when iPhone 4S owners started receiving the “upgrade to new iPhone 5″ notifications. 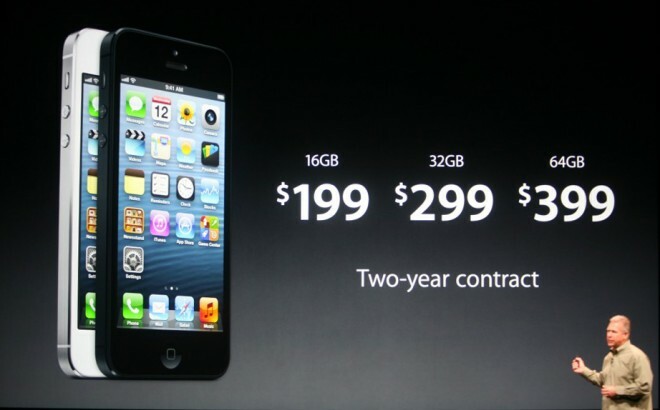 This early upgrade option is making people moving towards a two-year contract with iPhone 5. Before you go ahead with the upgrade or decide to switch to Android; it is a good time to start considering to wait for the iPhone 5S. Let’s see, who should wait and who should buy one of the currently available smartphones. Considering that Apple iPhone 5S is only about a month and half away – rumors suggest release date being somewhere in September – it won’t hurt you much if you decide to wait for the 5S; which you might be carrying for the next two years. Even if you have to buy iPhone 5, with the launch of newer Apple iPhone, the current smartphone will cost you much less as compared to the prices now. of course improved software. iPhone 5S camera is likely going to put iPhone 5 to shame. So if you are a photography aficionado, better wait for the 5s! coverage and well, AT&T 4G HSPA+ connectivity is fast enough for many users who look forward for a 4G LTE. will offer access to it. Hence the Verizon iPhone 4S users should better wait for iPhone 5S as it is expected to deliver some cool new features from Verizon which might be limited to the latest iPhone. introduction – but if you consider the price tag now and then; better wait for the 5S. T-Mobile 4G LTE also has a lot of room to groom, consider that before switching from a non-LTE carrier. Finally, Sprint also has 4G LTE, but is far behind when compared with AT&T and Verizon. we might end up seeing both! might be a flop? Yes? Get an iPhone 5 – right now! Please. battery life with a slightly-less-possible fingerprint reader – if you are too lucky. And also, if you don’t mind saving a few dollars for a few days wait. WAIT! That’s all we can say.